Almost 4,000 ancient artifacts illegally smuggled to the US have been returned to Iraqi officials. The treasures included four-thousand-year-old Sumerian tablets with one of the earliest forms of writing. They were acquired by an Oklahoma arts and crafts retailer. Shipping labels had described them as ''tile samples''. 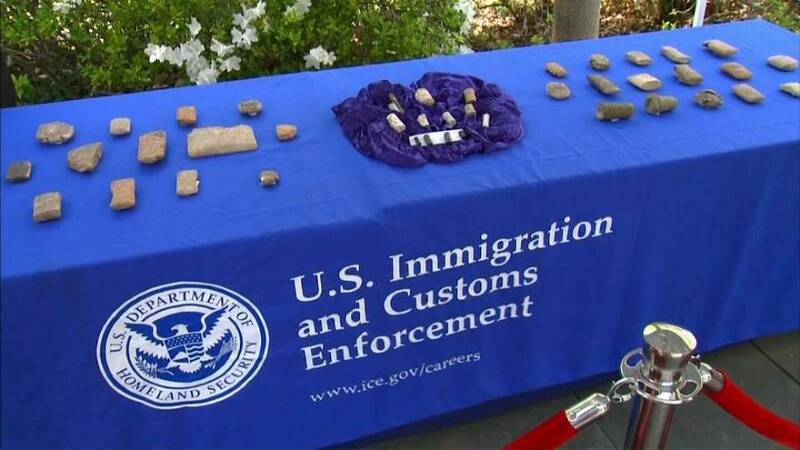 Thomas Homan, Deputy Director of US Immigration and Customs Enforcement, said: ‘’Stealing a nation's cultural property and antiquities is one of the oldest forms of organised transnational crimes, that many times funds terrorist activities. Technology and the ease of doing business anywhere in the world has helped make this type of criminal activity a global concern." Hobby Lobby, the company that acquired the artifacts, agreed to pay 2.5 million euros to settle civil proceedings brought by the US Justice Department.